OUR BEST LINEUP OF LOADERS YET. 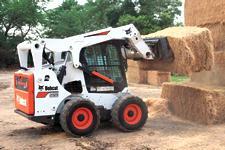 With M2-Series loaders, the industry’s best machines are even better. Everywhere you look, you’ll see improvements. Reduced-effort controls. Advanced automatic ride control for decreased material spillage. A quieter cab. Increased top window visibility. Smoother lift arm movements. 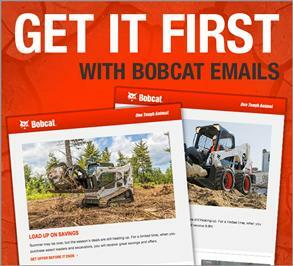 And they’re Bobcat-powered all the way through. 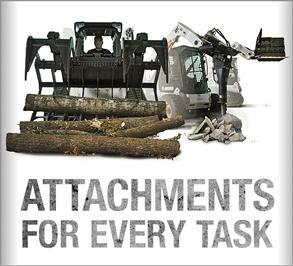 Each refinement gives you more productivity to get your toughest work done. 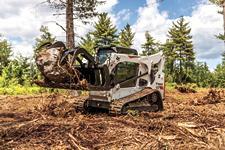 Talk to your local dealer to demo the machines. Beef, dairy and crop producers will appreciate the Bobcat standard controls, an optional reversing cooling fan, and an optional side lighting kit, which illuminates your work in dark environments. 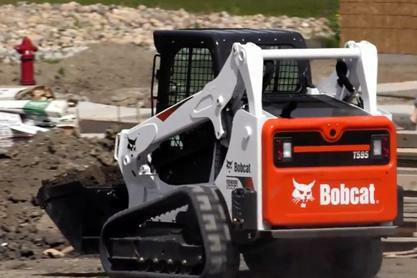 Construction workers will experience a decrease in material spills and enjoy a better ride quality with automatic ride control, see better in dark environments with side lighting, and stay running at peak performance with the automatic reversing fan. Landscapers will appreciate automatic ride control, which reduces material spillage and increases comfort on uneven terrain. Low-effort standard controls reduce arm hand fatigue, especially during long days of operation..
M2-Series loaders offer increased visibility, including an LED side lighting kit to illuminate your work area for early morning removal jobs. Increased viewable space through the top window also allows for better visibility when piling snow. M2-Series 600 and 700-frame-size loaders have a low-effort hydrostatic pump that reduces drive lever effort by as much as 25 percent. 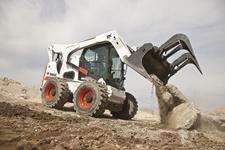 It’s a standard feature on loaders equipped with Bobcat standard controls or the Advanced Control System (ACS). Automatic ride control reduces material spillage, allowing you to travel at faster speeds for increased productivity. 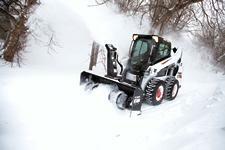 Thanks to its dampening effect, the option also increases comfort by offering a smoother ride, and is optimized for each Bobcat loader frame size. A clogged radiator can disrupt your productivity. The optional reversing fan on M2-Series loaders allows you to automatically or manually reverse the fan's direction to clear out dust and debris. Operators can choose between automatic, purge, or off modes. When you can see more, you can do more. The optional low-profile LED side lighting kit is perfect for working in dark buildings, clearing snow early in the morning or completing construction projects late into the night. When you step into the updated M2-Series cab, you'll notice numerous refinements right after you press the start button. Many improvements, including larger cab mount isolators and improved door seals will make your ride quieter and more comfortable. The top window improves visibility with a 34 percent increase in open area. This is beneficial when loading material in a high-sided truck or silage in a mixer, as operators have better visibility when they are placing material. To understand how each improvement of M2-Series Loaders will make you more productive -- and profitable -- you have to experience them for yourself. 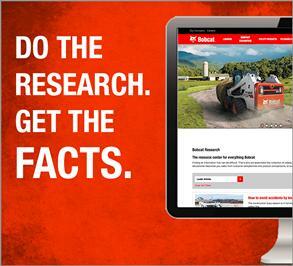 Start by scheduling a demo with your local dealer.